As part of a settlement announcement on Monday, Google has agreed to pay out $17 million to 37 U.S. states, as well as the District of Columbia, for ignoring anti-tracking protocols baked in to Apple's Safari Web browser. According to New York Attorney General Eric Schneiderman, the state attorneys general took Google to task over unauthorized placement of cookies on users' machines when they visited sites on the Internet search giant's DoubleClick ad network between 2011 and 2012, reports PCWorld. The process was considered a breach of privacy as Google did not ask permission from visitors, nor did it inform them that the tracking method was being used. "Consumers should be able to know whether there are other eyes surfing the web with them," Schneiderman said. "By tracking millions of people without their knowledge, Google violated not only their privacy, but also their trust." Over one year ago, Google agreed to pay a $22.5 million fine to the U.S. Federal Trade Commission over the same questionable practices. At the time, it was the largest penalty ever paid to the FTC for a civil violation. For its part, Google continues to assert that no private information was gathered by the tactic, and that subsequently inserted cookies were a byproduct of unforeseen behavior from Safari. 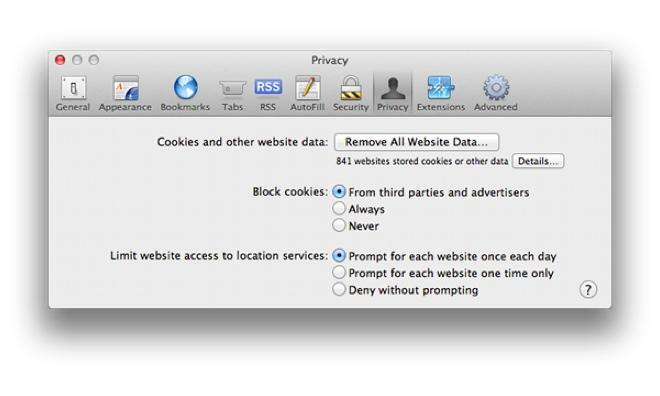 Safari by default blocks third-party cookies, but at the same time allows for cookie-based web features such as "Like" buttons and personalized content. As part of the settlement, Google promised not to override any Web browser's cookie blocking features unless first given specific consent from the user. In addition, Google will be providing more information to consumers on how cookies work and how to use them. "We work hard to get privacy right at Google and have taken steps to remove the ad cookies, which collected no personal information, from Apple's browsers," a Google spokesperson said.